Steps for Digitizing Hand Lettering: From Sketch to Vector + A Free Checklist! Have you been learning hand lettering and are now wondering how to digitize it? Well, today, I’m going to show you how to do exactly that! I’m going to walk you through the process, step by step, which, once you get the hang of it, is very simple and won’t take you long at all. I will say this, first; this process is what works best for me, and other hand lettering artists have other processes and programs that they prefer to use instead of the ones I’m sharing with you today. Have you ever wondered what is considered hand lettering and what is considered calligraphy? Or what is classified as typography? I've often seen these terms used interchangeably, which can definitely cause some confusion for those who don't have any experience with them. 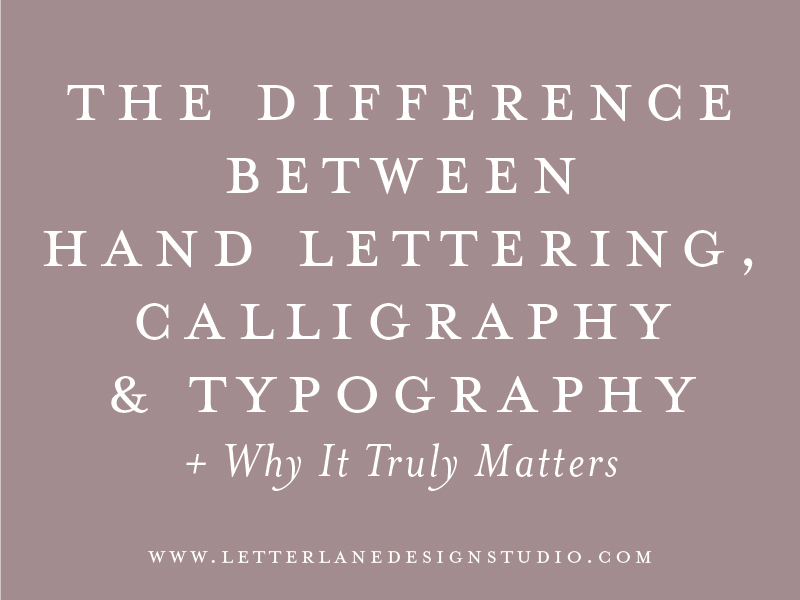 While other hand letterers and calligraphers may have different definitions for these, I'm going to share with my own definitions, and also provide some visual examples to help you remember their differences!